It's 18 days now to Rovaniemi 150 race, and it was time for another longer training ride this weekend. 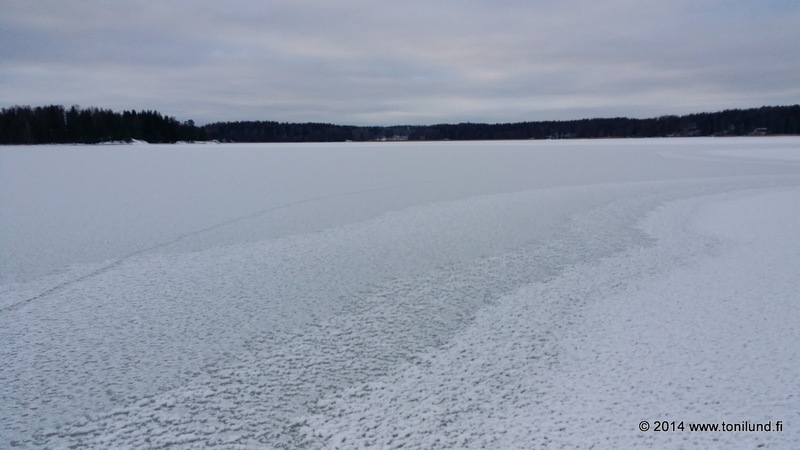 Winter weather has continued here with -10...-20°C temperatures, and lakes, rivers and some parts of the seas have frozen, ice thickness being at 5-30 cm. The quality of the ice is very good, because there is very small amount of snow on top of it. 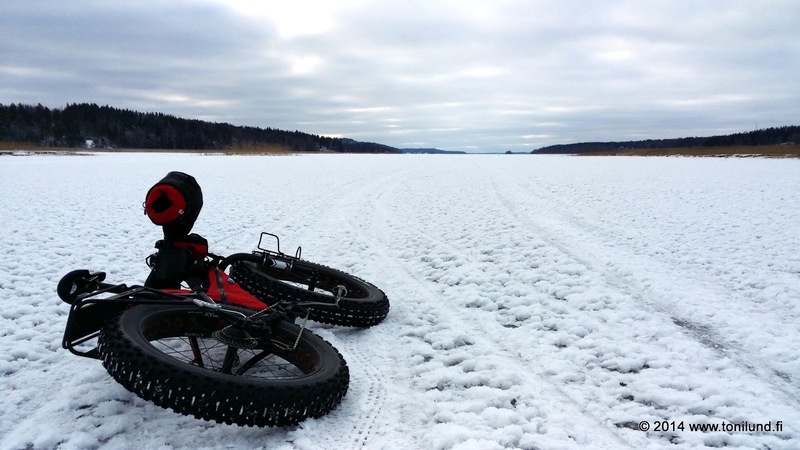 In the previous winters I have wanted to ride along the Paimio River to the sea, but mainly snow conditions have prevented it. So, I headed to Paimio River. There were tracks of others on the ice, so it was fairly safe to ride there. However, you should always carry some safety gear with you. I had my icepicks with me. Out from the river and I got pretty excited, as the views opened. As expected, there was other people too on the ice, like fishermen, skiers, skaters and some snowmobiles. I asked about the ice thickness from the fishermen, and it was around 15-30 cm in different places. I really like the very open and wide surroundings on the ice. I decided to ride to Karuna, a south-western part of Sauvo. Over there, I didn't need to worry about the ice thickness, but a very reckless van driver that was all over the place on the ice. About 90 km of riding and a very nice day on the ice. Also, 1013.25 km of training so far for January. 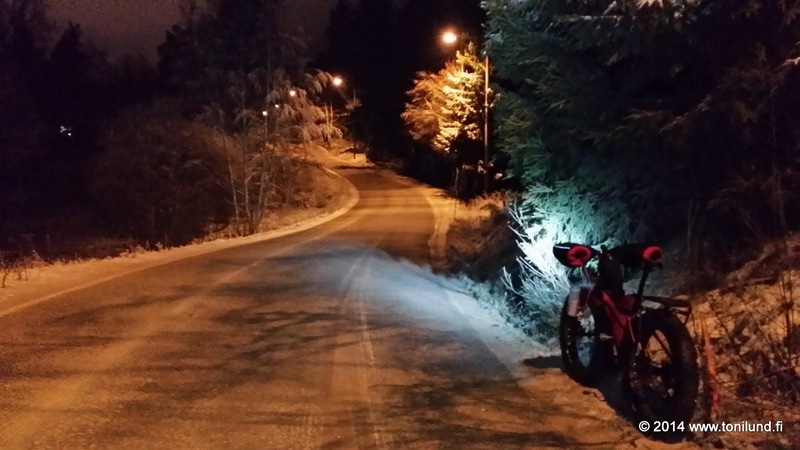 Things are looking good for Rovaniemi 150.